Controversial rabbi accused of bribery signs deal to testify against former senior police officer Menashe Arbiv. Rabbi Yosef Yoshiyahu Pinto, head of the 'Shuvu Yisrael' sect, signed a plea bargain agreement on Wednesday that attributes to him crimes of bribery, attempted bribery and disruption of proceedings. 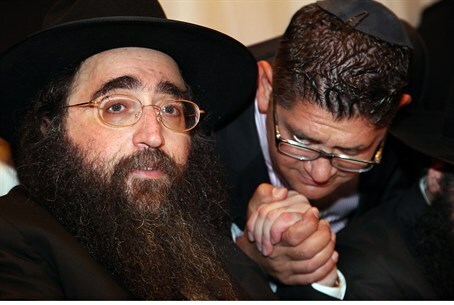 As part of the plea agreement Rabbi Pinto would serve as a state witness against former police Maj. Gen. Menashe Arbiv, who is to be investigated on suspicion of receiving benefits. Earlier this year, the Attorney General's Office stated it would file an indictment against Rabbi Pinto for allegedly attempting to bribe senior police officer Ephraim Bracha with $200,000 for information about a pending police investigation into the Hazon Yeshaya charity organization, which Pinto headed.